When you hear the phrase ‘community resilience’, what thoughts immediately come to mind? Understanding what resilience truly means is the first step to helping businesses know what is required to assist a community, before a disaster occurs. Resilience is essentially a community’s ability to recover in the face of an event – from a natural or man-made disaster to homegrown terrorism. Generally, recover from the disaster as rapidly as possible, and if applicable, anticipate the next event. 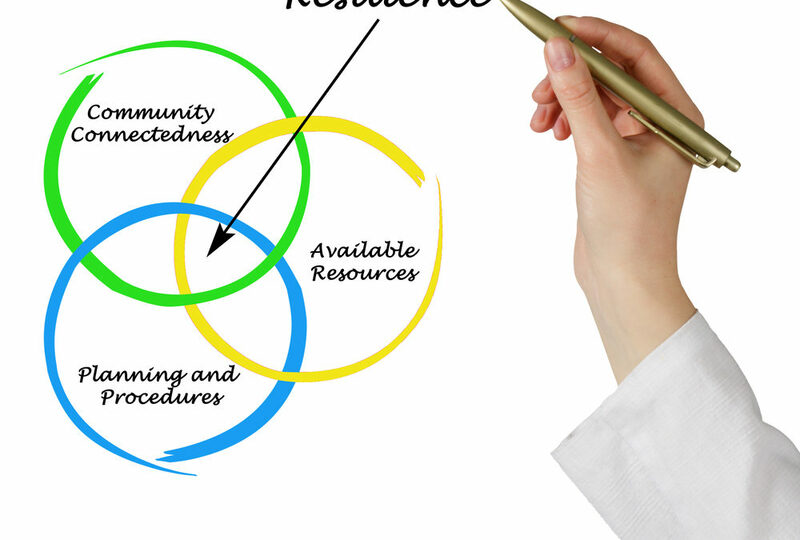 Understanding the characteristics of individual, community and organizational resilience is a great way of identifying who has capacity to do what in the recovery process. Individual resilience: The resilience of individuals greatly impacts their ability to recover from a disaster. Individuals who are resilient generally have caring and supportive relationships within and outside the family, the capacity to make realistic plans, skills in communication and problem solving and the capacity to manage strong feelings and impulses. Community resilience: Communities that have the capacity for resilience have trust, social cohesion, inclusivity, leadership, social capital and engagement with government. Organisational resilience: The availability of essential services relies heavily on an organisations’ ability to survive (and thrive) through a disruption event. Enhancing organizational resilience is critical towards creating an overall more resilient community. When determining the resilience of a community, there are a number of factors to keep in mind; human capital (ie labour power, health & social wellbeing), social capital (ie social and economic networks that members can draw upon), physical capital (ie houses, vehicles, infrastructure, livestock), natural capital (access to land, water, wildlife), financial capital (savings, access to regular income, insurance) & political capital (an individual or community’s ability to influence policy and the proceses of government). So, how do you help a community achieve these resilience goals? Firstly, businesses must begin by understanding the pre-existing state of the community and the potential consequences of a disaster. Community and social service organisations are a great source of knowledge on the strengths and vulnerability of their community. In order to build greater community resilience, recovery processes need to address any potential issues of resource inequities, identify any socioeconomic vulnerabilities, develop community resilience-building activities – such as programs and activites that reduce individual and community risk and promote emergency preparedness. Most importantly, building community resilience needs to empower the community, develop and support leadership and appropriately resource community-led strategies. Renae Hanvin brings to businesses (of all shapes and sizes) a unique understanding of connecting corporate goodwill to disaster-impacted community needs. With a personal commitment to educate, connect and motivate businesses to support the communities in which they operate, Renae proudly leads a national team of best practice emergency sector and community relations specialists.